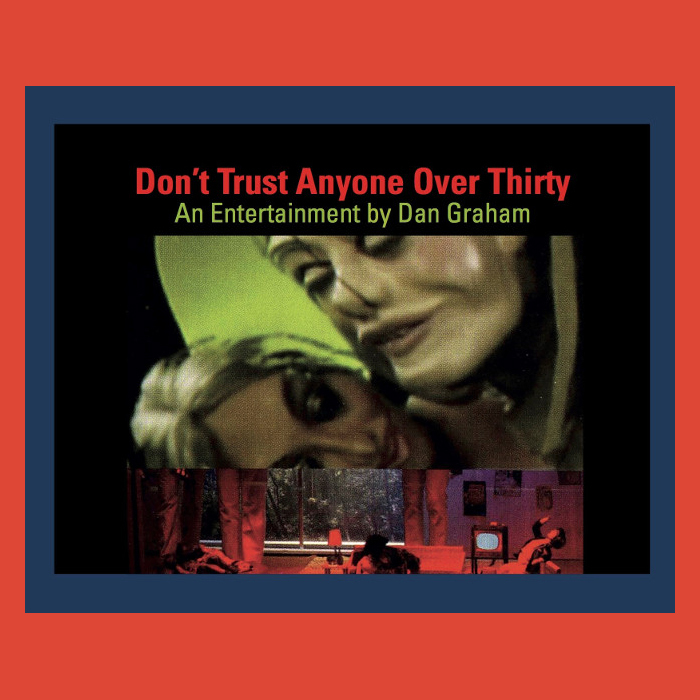 ‘Don’t Trust Anyone Over Thirty’ is a satiric entertainment continuing the artist’s cultural analysis of the ’60s, which began with Graham’s 1981 video ‘Rock My Religion,’ a video dealing with the evolution of youth culture during the ’50s, ’60s, and after. ‘Don’t Trust’ is set in the late ’60s to early ’70s period when the ‘hippie’ tribes moved their ‘counter culture’ to settlements to the bucolic ‘wilderness’ of the countryside. 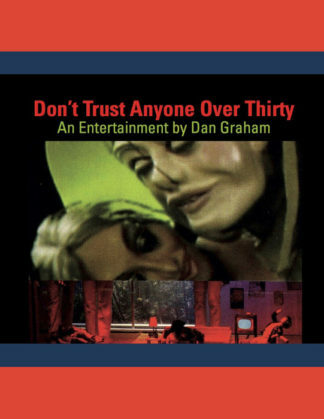 The work as Graham originally conceived it was meant to be staged as a puppet show, like ‘The Muppets,’ for entertainment of former hippie fathers or grandfathers to see as a historical recreation by their children or grandchildren.